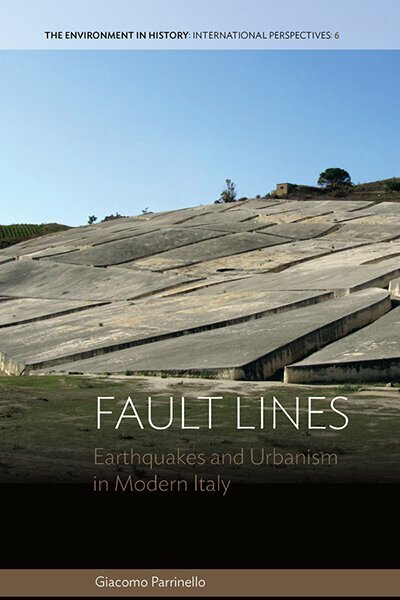 In his recently published book Fault Lines, Giacomo Parrinello delves into the environmental history of two major earthquakes in Sicily in the last century, allowing the earthquakes to narrate a fascinating journey into the dynamics and continuities between urban modernization and reconstruction efforts before and after the disasters. Sicily is one of the most active seismic regions of Italy. As many other areas of Italy (particularly along the Apennines mountain chain), it has been subject to recurrent earthquakes. These earthquakes contributed to shaping its history in terms of culture, environmental management, spatial planning, norms and regulations, and economic trajectories. The reconstruction efforts that followed – and, overall, the way in which reconstruction was planned and discussed – left tangible and intangible signs in settlements, culture and society. In the recently published book Fault Lines. Earthquakes and Urbanism in Modern Italy, Giacomo Parrinello explores the continuity between previous trajectories of modernization and reconstruction efforts following two major earthquakes in Messina and in the Belice valley in the last century. The central question of the book is whether earthquakes can speak (p. 1) and have something to say for understanding how these Sicilian areas evolved in the 19th and 20th centuries in terms of spatial organization, economy and society. The obvious answer after reading the book is that, yes, earthquakes can speak clearly and loudly. Out of any rhetoric, the painstaking meticulousness of the author, as well as his creativity and clarity in presenting the findings, allow the earthquakes to narrate a fascinating journey into the dynamics of Messina and the Belice valley before and after the disasters. Messina, in the north-eastern corner of Sicily, the last decades of the 19th century. Following the trend undertaken by other cities in post-unification Italy, the city authorities of Messina promoted a series of urban planning reforms to foster a modernization process that should have triggered physical and social transformations. These reforms were part of the so-called risanamento, the sanitization of the city towards its improvement through the enlargement of streets, the demolition of working class neighbourhoods, and a new comprehensive system for water supply and management (Chapter 2). Notwithstanding several critiques, delays, and conflicts between local actors, the reforms were started. However, reforms were suddenly interrupted by one of the most severe earthquakes in Italian history, which hit the Sicily and Calabria regions on 28 December 1908 together with a tsunami and several fires (Chapter 1). A large part of Messina was destroyed with tens of thousands of victims. In early 1909, it was ruled that Messina would have been rebuilt in its historical location by integrating seismic risk mitigation with the pre-existing goals of modernization and risanamento. The modernization process, therefore, started again (Chapter 3). The combination of reconstruction and risanamento completely transformed the built environment, and contributed to modifying the local economy from a maritime one towards an industrial and tertiary economy. Displaced people moved into the city from destroyed villages looking for a new life. The temporary housing, which was built for displaced people, became permanent for decades, leading to long-term conditions of exploitation, poverty, and marginalization. This inaugurated a trend, which became a common key issue of post-earthquake reconstruction efforts in Italy. The size of the city grew dramatically and resulted in massive urban development. Let’s change scenario now: peasant villages with poor housing and a chronic lack of infrastructure in the Belice valley, Western Sicily, the early 1920s. Following initial attempts after the unification of Italy, during Fascism several extensive development plans for rural modernization, land reclamation, and abatement of malaria were proposed (Chapter 5). After the Second World War, the public development institution Cassa per il Mezzogiorno provided subsidies for a combination of rural transformation, modernization of agricultural infrastructure, and pre-industrialization plans. When the seismic sequence hit the Belice valley on 14 January 1968, dozens of villages were destroyed (Chapter 4). Hundreds of people lost their lives, tens of thousands became homeless or needed assistance. As in Messina, the pre-existing modernization strategy was employed for reconstruction. However, unlike Messina, fourteen affected villages were not rebuilt in their historic location; rather, their abandonment and delocalization was decided by applying a so-called “city-territory” planning perspective (Chapter 6). The idea was to build new modernized towns, which should have worked as single town units with their own economy. Therefore, settlements were transformed from pleasant and rural villages into new towns equipped with suburban-style housing, modern urban infrastructure, and road networks favouring a car-centred mobility. However, most of these plans for modernization were unsuccessful. Emigration towards Northern Italy or abroad never ended. The poor housing remained unaltered. Villagers protested to claim their rights by asking for local development able to meet local needs. Corruption, lack of institutional coordination, and a substantial detachment between the centralized development policies and the local context led to a failure in providing development, jobs and improvement of life conditions. In both Messina and the Belice valley, the purpose of embedding modernization within reconstruction led to a radical transformation of the built environment, aligned to the contemporary planning ideals about urban modernization and combined with risk mitigation strategies. Parrinello’s book mainly uses a planning perspective to narrate these “tales of earthquake urbanism” (p. 214). However, it also provides comprehensive and detailed insights into other tales, which inevitably emerge and intertwine, such as the conflicts between municipal and central authorities, the role of science in public and political debates, environmental and spatial injustices, struggles of local communities to raise their voice, and the failure of state-driven development. Seventeen years ago, the intriguing journey into Italian disasters by Dickie, Foot & Snowden in Disastro! Disasters in Italy since 1860: Culture, Politics, Society, could have represented a milestone for disaster debate in Italy. Nevertheless, it was probably not powerful enough to stimulate attention, particularly of Italian social scientists, about the role of disasters in shaping human-environment relations. Conversely, after the seismic tragedy of L’Aquila and nearby areas in the Abruzzo region, South-eastern Italy, in 2009, there has been a mounting interest by academia in exploring these topics from a broad social science perspective, including human geography, sociology, and anthropology. Books such as Territorio e democrazia: un laboratorio di geografia sociale nel doposisma aquilano, Fukushima, Concordia e altre macerie. Vita quotidiana, resistenza e gestione del disastro, Oltre il rischio sismico. Valutare, comunicare e decidere oggi, Politiche del disastro. 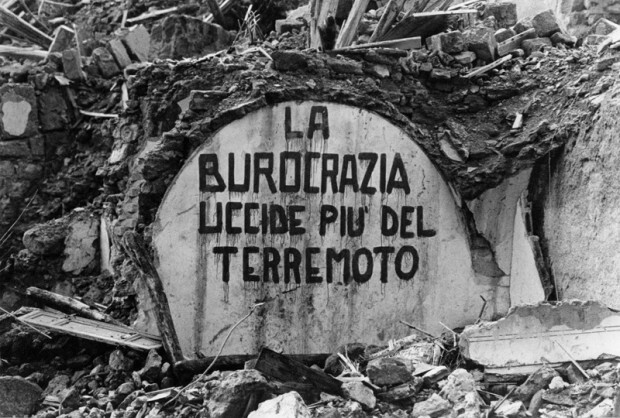 Poteri e contropoteri nel terremoto emiliano, and others, are part of a growing body of knowledge that aims to answer questions such as: how do politics and planning respond to disasters? What is the role of disasters in accelerating pre-existing social, economic, planning and political processes? How do they contribute to exacerbating conditions of spatial and social inequalities, vulnerabilities, and exploitation? How can local communities be empowered? In this regard, more investigation is in fact required in Italy for understanding disasters from a social science perspective. For example, after the earthquake in Amatrice in August 2016, it was clear that the public and mass media debate was strongly oriented towards a technocratic approach to seismic risk mitigation without using social science for interrogating the social and political construction of the disaster, and the root causes of social vulnerability existing in the Italian Apennines. It is also necessary to provide a clear understanding of risks and disasters as political issues, which require both institutional responses and the empowerment of local communities to reclaim their voices. This book by Giacomo Parrinello is an important source to be added to this field of study. Hopefully, the topics explored here will soon become an established part of academic research and of social and political debates, and not just an issue superficially and randomly considered when a disaster happens. *Giuseppe Forino is a human geographer, PhD candidate in Disaster Management and research assistant in the School of Architecture and Built Environment, University of Newcastle (Australia). His research focuses on climate change adaptation and disaster risk reduction in the Hunter Valley, Australia. Giuseppe also holds a previous PhD in Economic Geography from Sapienza-University of Rome (Italy) (2008-2011), in which he worked on community resilience after the earthquake which hit L’Aquila and the Abruzzi region in 2009.